Heather focuses her practice on employment litigation, representing employers throughout the United States in federal and state courts and in various administrative tribunals. Her broad range of litigation experience includes the representation of employers in cases alleging wage and hour, sexual harassment, race, national origin, gender, disability and age discrimination, breach of contract, violations of public policy and tort claims. Heather also handles traditional labor matters including labor arbitrations and NLRB proceedings. In addition, Heather regularly provides counseling to employers on compliance with various state and federal employment laws and regulations. Among her leadership roles in the firm, Heather serves as co-chair of the Partnership Advancement Committee and co-chair of the Leadership Subcommittee of the Women’s Initiative. Heather was an extern to the Honorable Martin L.C. Feldman, U.S. District Court, Eastern District of Louisiana and spent several years representing individuals in employment suits. Heather was elected to the District VB Ethics Committee in 2013. She will serve until August 2021. 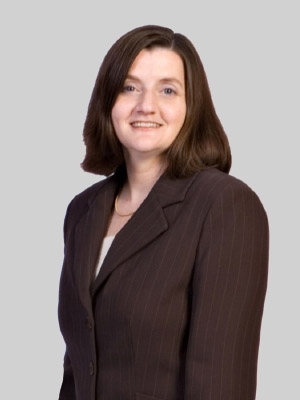 Heather is a board member, formerly Co-Secretary (2011 to 2012), Vice President (2009 to 2011) and Chief Financial Officer (2006 to 2009) of the New Jersey Women Lawyers Association and is Co-Director (2013 to present) of the association's Judicial Outreach Committee. Since 2011, Heather has participated in Running 4 Answers, a run/walk benefiting Cure for Alzheimer’s. She is a former Board Member of the Lawyers with Children Association, and from 1997 to 2012 participated in the George Washington Bridge Challenge Walk benefiting the American Cancer Society.